'Real Cool Cotton' with moisture management, keeps you cool and dry. Our Collection at Boxers and Briefs contains only the highest quality Lacoste Mens Loungewear. One of the latest ranges is the Lacoste Stretch Cotton Lounge Pants contrast waistline. This highly comfortable Lounge Pant features 'Real Cool Cotton' for excellent moisture management keeping you cool and dry. 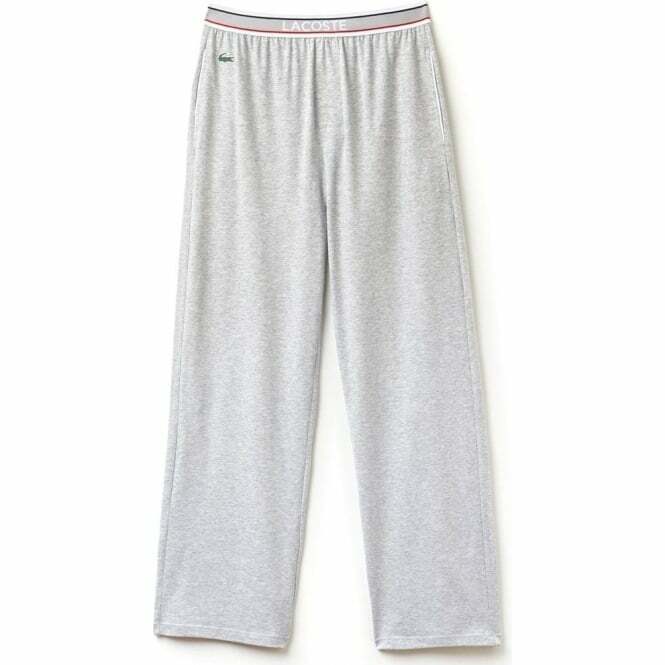 In this range we have a Grey Melange Lacoste Stretch Cotton Lounge Pant Waistline, which is available in multiple sizes ranging from Small to Extra Large.